Stadio Alberto Braglia opened on the 11th of October 1936 with a match between Modena and Cremonese (0-0). The stadium was first named after Cesare Marzari, an ex-player who had died in the African War, but was renamed after the Second World War in honour of three-time Olympic gold medal winner Alberto Braglia, child of the city. Hardly any changes were made to the stadium until the turn of the millennium when an extensive redevelopment program was presented. Works started with the rebuilding of one of the ends, followed by the removal of the running tracks, the construction of additional rows of seating closer to the pitch, and the renovation of the other three stands. The third stage of the works, completed in 2006, included the installation of a roof. A few further upgrades in the following year completed the project. Stadio Alberto Braglia was between 2008 and 2013 the home of Sassuolo Calcio as they lacked proper facilities in their home town. In 2013, after Sassuolo promoted to Serie A, they moved to Reggio Emilia to play at MAPEI Stadium – Città del Tricolore. In 2015, Carpi moved into the stadium as their own home, Stadio Sandro Cabassi, did not meet Serie A standards. Stadio Alberto Braglia is located in the centre of Modena, right next to the railway station and at a few minutes walking from the historic city centre. If coming from the A1 motorway, take exit Modena Nord and turn onto the ring road (Tangenziale) in the direction of the city centre (centro). Follow for about 5 kilometres and take exit 10 to the centre. Continue toward the centre and, after having crossed the railroad tracks, follow the signs for Stadio. 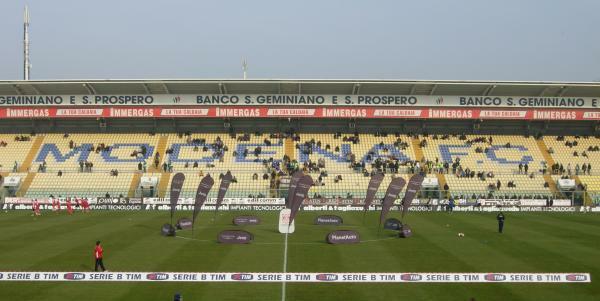 Tickets for Modena matches can be bought at the branches of local bank Banca Popolare Dell’Emilia Romagna, or on the gate on the day of the match from three hours before kick-off. Modena hardly ever sell out. Tickets for Carpi matches can be bought online through Listicket, at any of the Listicket sales outlets, or at Stadio Alberto Braglia on the day of the match. Ticket prices depend on the opponent, but typically range from €18.00 for a seat at the curves to €70.00 for a central seat at the main stand. Prices tend to get increased for high-profile matches to between €27.00 and €100.00. 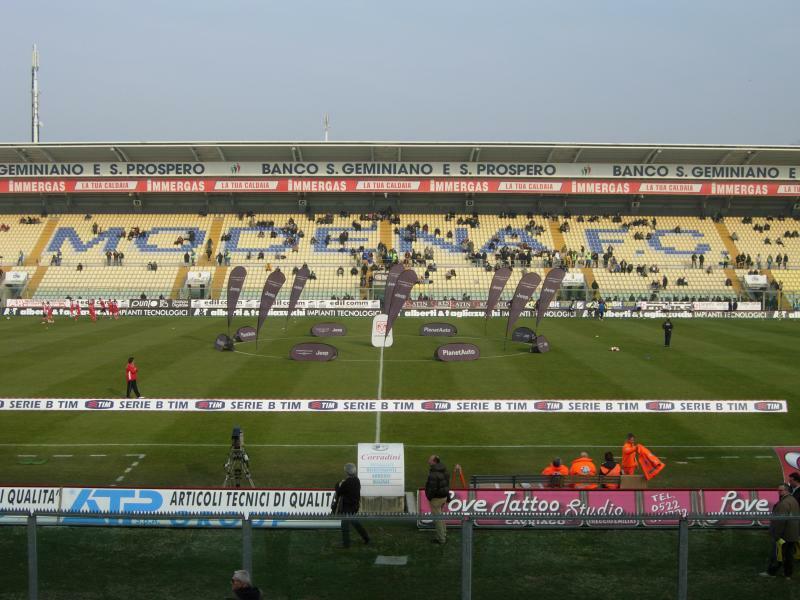 Modenafc.net – Official website of Modena FC. Modena.it – Official tourism website for the city of Modena.